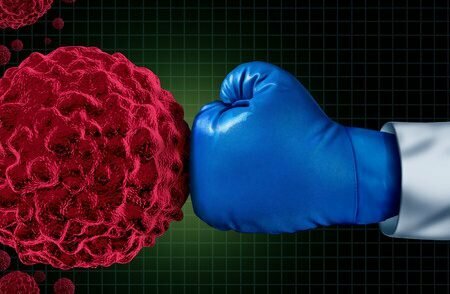 Cancer is a disease that can rob you of your body, one cell at a time. But, it does not have to carry you along as a consenting partner. You are able to battle cancer, starting with what you consume. Here are a few cancer-fighting pointers to fortify your nutrition. Whether you've received a diagnosis of cancer or have a family history, there's one thing that you will be able to always strive to do to affect your situation – change your diet. We are what we eat. When it concerns cancer, let’s view this literally. Early medications were made from edible herbs, plants and foods. Good nutrition is a crucial part of life. The body is a marvelous machine that knows how to acquire the most from its fuel source to keep the machine running in good shape. Eighty or more percent of our nutrients come from the foods that we consume. The body can manufacture many of the substances that it requires but many need to be ingested. It's the components of these foods that affect changes within the body. As a matter of fact, food is frequently a main source of the problem when the body starts to break down. For example, consuming too much fat might set off a chain reaction in the body that leads to obesity, heart disease, cancer and even a fatal outcome. Utilize food as your weapon to fight against cancer, the disease that knows no gender, age, or socioeconomic status. Also read How to Starve Cancer Cells. In addition to the specifics, there are a few wise, general rules to follow in any cancer-preventing or cancer-fighting diet. First, variety is essential. Second, that variety needs to be plant-based, meaning the greater variety of fruits and vegetables you consume, the better. Third, the variety of plants you eat need to be whole and natural, not processed (in other words, buy a bunch of fresh, organic spinach rather than a package frozen, prepared spinach dip). Applying these general guidelines to all the foods you buy will go a long way in promoting cancer prevention. Whole grains are an important source of inositol hexaphosphate, a form of B vitamin that is a cancer fighter. Berries protect DNA from damage; the multiplication of cells with damaged DNA is how cancer forms. Cherries, particularly tart ones, contain powerful antioxidants called anthocyanins. Garlic and onions have sulfides, immune-enhancers and cancer-fighters. Be sure to crush or chop garlic before consuming; this treatment enhances the cancer-fighting properties. Bell peppers have cancer-fighting capsaicin and vitamin C, an antioxidant. Tomatoes are rich in the antioxidant lycopene. Red clover can be used in salads, and is a good anti-cancer food. Citrus fruits contain the anti-cancer compound limonene. Brazil nuts contain selenium; low levels of this substance are associated with increased cancer risk. Mushrooms, specifically shitake, reishi, and maitake enhance the immune system and help the body fight cancer cells. Beans and lentils have inositol hexaphosphate, the same form of B vitamin found in whole grains. Serve up the beans and whole grain brown rice! And add liberal amounts of some of the following spices. Remember the song about “parsley, sage, rosemary and thyme”? That combination of herbs makes an excellent anti-cancer blend. All four of these flavor-enhancers have anti-cancer properties. Rosemary in particular is under scrutiny as a cancer therapy due to its anti-inflammatory and antioxidant activity. Cumin is an antioxidant and anti-inflammatory. Cayenne pepper has more of anti-cancer capsaicin than bell peppers. Ginger is a pungent anti-inflammatory spice. Bear in mind, too, that the National Institutes in Health (NIH) recommends five servings of fruits and vegetables a day. Here's where a blender can come in very handy – you can toss in five different fruits and veggies, add some filtered water, and create a healthful drink. Broccoli – This has been called a “superfood.” That means that it's a well-rounded food that offers a complete nutrient profile. As far as cancer goes, all cruciferous vegetables (including cauliflower and Brussels sprouts) contain indole-3 carbinol. This substance has been shown to retard the growth of cancer cells. It likewise helps bring down the odds of acquiring breast cancer. Colon cancer is also thwarted by another component called sulfophorane. Fish – Fish is a food that contains omega-3 fatty acids. These are good fats that work to protect the heart and likewise reduce inflammation in the body. These fatty acids along with other vitamins help to protect versus prostate cancer. Tomatoes – Technically a tomato is a fruit because of the seeds, but it enjoys a comfortable home in the veggie family. This food contains lycopene, a potent antioxidant. It's the job of antioxidants to fight free radical damage in the body which might lead to all sorts of cancers. The concentration of lycopene is larger when tomatoes are cooked. Consume them in stews, soups, and casseroles. Tea – Certain teas such as white tea and green tea contain substances that help stamp down cancers in areas such as the prostate, breast, lungs, ovaries, skin and bladder. Green tea also has antioxidant properties. Vitamins – All kinds of vitamins are required for new cell growth and to boost the immune system to repel disease. These include vitamins A, C, E and the B ones. Taking a multivitamin guarantees that you acquire what you need if you do not get it from the food you're consuming.